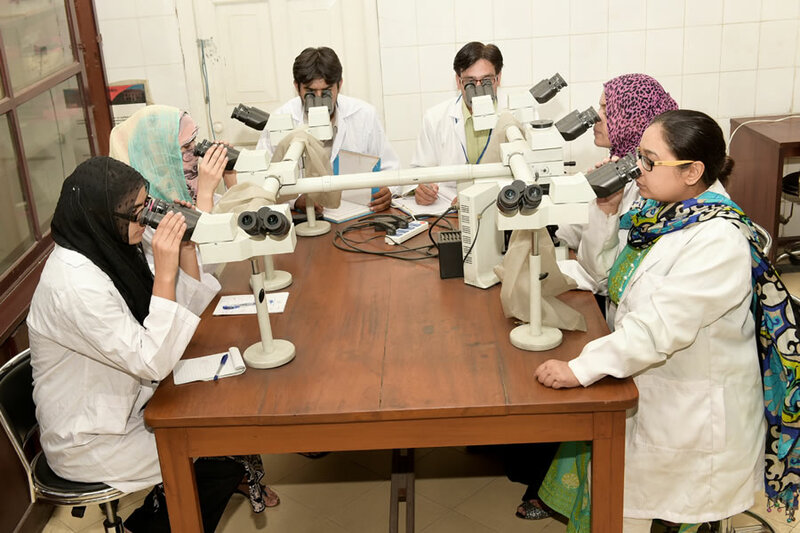 The Department of Pathology fulfills essential role in teaching undergraduate and postgraduate students, along with disease diagnosis in poultry, pets, domestic and wild animals. Pathology provides the critical link between the basic and clinical sciences. The department isdedicated to disseminate the knowledge of diagnosis and control of diseases. Here we emphasize on understanding the pathological mechanisms of infectious diseases caused by bacteria, viruses, parasites and their vectors. Our dynamic faculty includes leading experts in host pathogen interaction, Molecular pathogenesis, Poultry Pathology, Diagnostic and Clinical Pathology. Our vision is to provide leadership and excellence in disease diagnosis through innovative research and pioneering clinical activity. 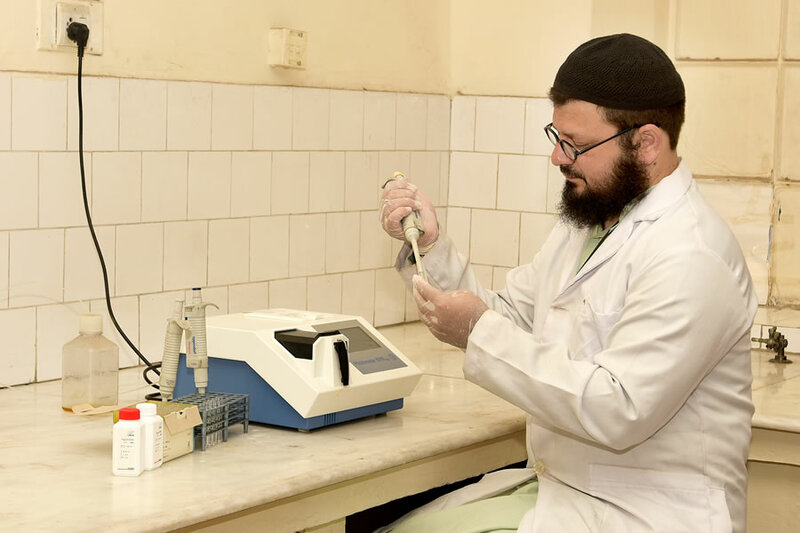 The outstanding facilities based in the department are second to none providing a range of world class diagnostic services, ensuring best practices and enabling us to provide better and faster results to the clients. The diagnostic services in the department are supported by the teachers, scientists, researchers and postgraduate students who have a vast experience of routine and more complicated clinical cases. 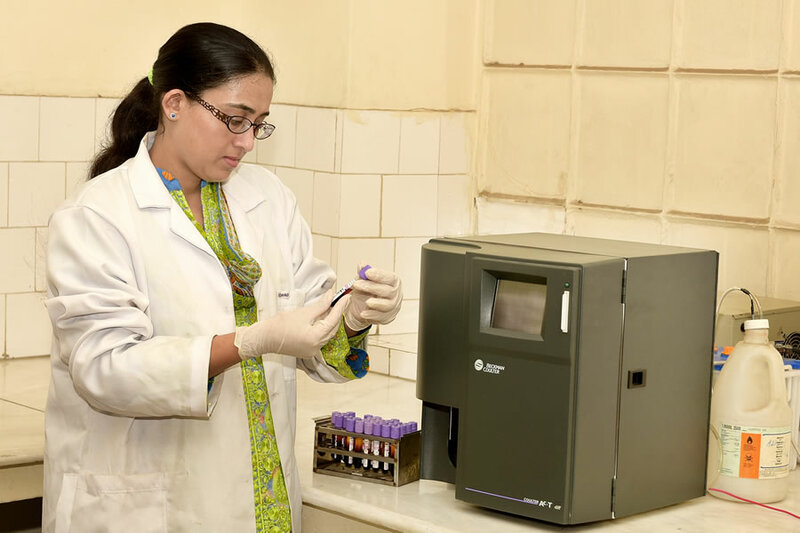 We provide routine diagnostic techniques as well as specialized services in areas of hematology, serum biochemistry, cytology, histopathology, immunohistochemistry, endocrinology and postmortem examination. Our primary focus is animal welfare as well as providing the students hands on training and the clients a comprehensive diagnostic laboratory services. Our laboratory reports are accompanied by expert veterinary pathological advice and our pathologists are always available to discuss results or provide further advice according to the clients need. We strive to give same day service for in house tests on samples received during the normal working hours (hematology and serum biochemistry). 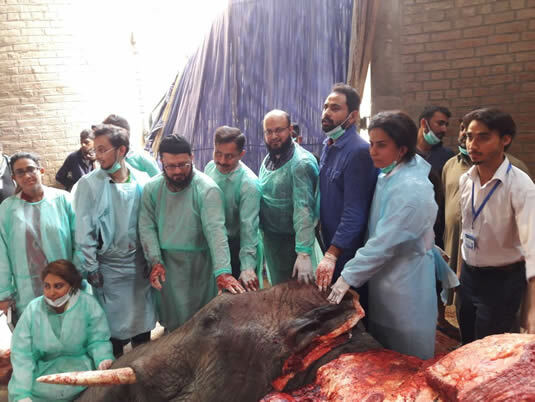 Being part of 24/7 extension services of UVAS, we are playing major role by conducting post mortem examination of dead animals at door step, collecting samples to diagnose the disease problem at earliest and giving technical services to treat and control disease problems. Produce highly trained manpower in the field of Pathology. Improve the quality of education as per needs of government and private sector. Plan strategies for accurate and early diagnosis of diseases. Conducting post graduate students research on current disease problems faced by livestock and poultry sector. Work for effective strategies to control the outbreaks. Conducting innovative research to develop new molecular techniques for emerging infections. Ensure the high standards of research work with internal and external quality control and assessments. Report the test results as soon as they are available by fax, email or by post. Liaise with other laboratories to provide broad spectrum of tests. Keep all record for reference and repeat reports if required at no extra cost. The scope of Pathology is tremendous. Without an accurate diagnosis, the selection of a course of treatment for a sick animal may be limited. For companion animals, Pathology may mean analysis of blood or urine samples or even tissue biopsies of tumors. In the sphere of veterinary public health, it is vital that notifiable and other communicable diseases are diagnosed quickly and accurately. In research, the understanding of disease processes is important in the development of new treatments. In recent years, the study of the genome has opened a wide range of possibilities in investigating the causes of disease. And the areas of work include, but not limited to, animal diagnostics, teaching and research, pharmaceutical industry, wildlife and environmental conservation, government service, and army and defense. Private companies that produce drugs and insecticides employ pathologists. Veterinary Pathology provides the reports of basic and applied research involving livestock and poultry. 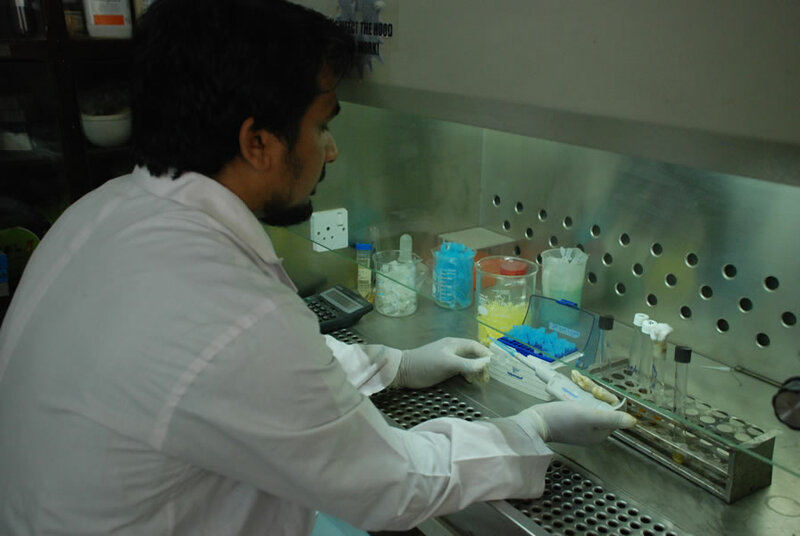 Our focus is to conduct the diagnostic investigations of diseases of animals especially of zoonotic nature. It provides a forum for the understanding of the pathological processes and evaluation of new and existing diagnostic applications of scientific advances and clinical pathologic correlations; fostering the acquisition and maintenance of up­to­date information to ensure high standards of practice; and, encouraging the publication of new information. Dr. Raza Younis, An entrepreneur delivered a seminar on effect of hot weather in chickens. Amir Rasool, Muti-ur-Rehman Khan, Muhammad Asad Ali, Aftab Ahmad Anjum, Ishtiaq Ahmed, AsimAslam, Ghulam Mustafa, SaimaMasood, Muhammad Amjad Ali and Muhammad Nawaz. Anti-avian influenza virus H9N2 activity of aqueous extracts ofZingiberofficinalis (Ginger) and Allium sativum (Garlic) in chick embryos. Pakistan journal of Pharmaceutical sciences (PJPS) Vol.30, No.4, July 2017, pp.1341-1344 Impact factor; 0.682. S. Sarfaraz, K. Muhammad, T. Yaqub, A. Aslam, M. Rabbani, M. Khalil and R. Riaz. Antibody response of broilers to oil based combined avian influenza (h9 n2) and mycoplasma gallisepticum vaccine. Published in The Journal of Animal & Plant Sciences. 27(4): 2017, Page: 1150-1154 ISSN: 1018-7081(IF: 0.422). Nadia Mukhtar, TahirYaqub, Muhammad Munir, JawadNazir, AsimAslam, Amber Masood, ZarfashanTahir, Maryam Javed and AsifNadeem (2016). “Prevalence of Bovine Rota Virus in Calves, Punjab, Pakistan” Accepted in n the Journal of Animal and Plant Sciences, Volume: 27 (IF: 0.422). Liaqat, N. Arshad, G. Saleemand M. Zain-ul-abIdeen (2017) Desulfovibrio vulgaris, biofilm formation and T3SS Inhibition BIOLOGIA, 63 (1), 115-123. M Younus, T Abbas, M Zafar, S Raza, A Khan, I Khan, M AIdrees, Q U Nisa, R Akhtar and G Saleem (2017). Quantification of enrofloxacin residues in broiler chicken tissues using competitive Enzyme-Linked Immunosorbent Assay. Indian Journal of Animal Sciences 87 (5): 123–00. SameeraAkhtar, Muhammad AkramMuneer, Khushi Muhammad, Muhammad YasinTipu, Muhammad Anees, Imran Rasheed, Raza-ur-Rehman and IrshadHussain (2017). Molecular Characterization and Epitope Mapping of Fusion (F) and Hemagglutinin (HN) Genes of Avian Paramyxovirus Serotype I from Peacocks in Pakistan. Pakistan J. Zool. 49(2): 755-759 (I.F. 0.478). Tufail H, Qureshi NA, Khan N, Iqbal KJ, Khan MR, and Maqbool A. 2017. Prevalence and effects of Lernaeacyprinacea (anchor worm) on the growth, skin histopathology and hematology of Catlacatla. Iranian Journal of Fisheries Sciences 16(1), 341-351. Impact factor= 0.285. R Akhtar, MN Anwar, I Khan, H El-Adawy, A Aslam, G Mustafa, SF Rehmani, MZ Saleem, SarwatNaz. 2017. Pathological Investigations of Organ Affinity of Brucella Species and their Cross Species Transmission. Pakistan Veterinary Journal. IF: 0.813. K. Hassan, A. Khalique, T. N. Pasha, M. Akram, S. Mahmood, A. W. Sahota, M. S. Imran and G. Saleem (2016) Influence of Moringaoleifera decorticated seed meal on broiler performance and immunity. Pakistan Veterinary Journal. ISSN: 0253-8318 (PRINT), 2074-7764 (ONLINE). M. Younus, T. Abbas, M. Zafar,S. Raza, A. Khan, A.H. Saleem, M.A. Idrees, Q.U. Nisa, R. Akhtar& G. Saleem.2016. Assessment of heavy metal contamination in raw milk for human consumption. South African Journal of Animal Sciences. ISSN: 0375- 1589 (print) ISSN: 2221-4062 (online) 46(2): 1-4. IMPACT FACTOR: 0.504. Muhammad Umair Khan, Saher Islam, AmnaArshadBajwa, Imran Rashid RaheelaAkhtar, Haroon Akbar, WasimShehzad and Muhammad Lateef. 2016. Optimization of single step multiplex PCR for detection of Eimeriatenella and Eimerianecatrix from commercial broilers. Indian Journal of Animal Sciences 86 (6): 671–672. IMACT FACTOR: 0.1. RaheelaAkhtar, Iahtasham Khan,, Falk Melzer, Heinrich Neubauer, Aftab Ahmad Anjum, Muhammad Younus, AsimAslam, Sadaf Imran. 2016. Differential anti-Brucella activity of bovine and murine macrophages. Indian Journal of Experimental Biology. 54: 452-456. F. Akhtar , M. Rabbani , K. Muhammad, M. Younus, A. A. Sheikh, R. Akhtar, J. Muhammad and A. Rasool. 2016. Phylogenetic grouping of the pathogenic E. Coli isolated from commercial broiler chicken in Pakistan. The Journal of Animal & Plant Sciences, 26(5): 1242-1246. IF 0.422. 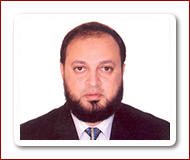 Mr.Ishtiaq Ahmad has gone abroad for Ph.D.
Prof. Dr. Asim Aslam attended a two days “ International Seminar on Poultry Diseases” at University of Agriculture Faisalabad on 14-15 December 2015. Prof. Dr. Asim Aslam attended the training program on “leadership and change management” held from 27­30th April, 2015 at IBA Karachi under the tertiary education support program of HEC. Prof. Dr. Asim Aslam attended a two days workshop on “Small ruminant value change (SRVC)” under agriculture innovation program funded by USAID on 11­ 12th May held in Islamabad, 2015. Study tour of undergraduate students to Slaughter house to examine and learn gross lesions of various diseases. Post –Graduate study tour to A.W. Chicks Hatchery and Farms in District Kasur. Prof. Dr. Ashiq Hussain Cheema demonstrated histopathological slides of various disease conditions. Dr. Asif Latif Manager Big Feed gave presentation on modern practices in broiler farming in controlled shed rearing system. Up-gradation of Labs & Lecture rooms. Thirteen latest Olympus microscopes added in under graduate Lab. Addition of Chemistry and hematology Analyzer in Hematology Lab. Renovation of incineration facility in the Postmortem block. Fluorescent Microscopy & Image Analysis System. Department of Pathology in collaboration with Higher Education Commission has organized three day workshop on “Recent Advances in Necropsy Practice in Livestock and Poultry and its Vetro-Legal Implications” held on 25 to 27 Feb, 2015 at Conference Hall, UVAS, Lahore. Developing novel approaches in the research of host-pathogen interaction and exploring its molecular pathogenesis for various infectious diseases.